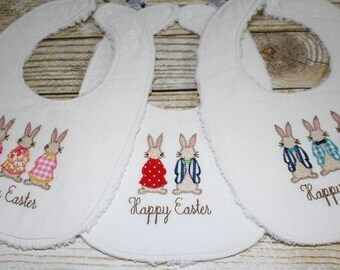 Announcement Infantly Cute Boutique specializes in durable yet comfortable baby quilts, blankets, bibs, burp cloths, and pacifier clips that fit in well with the trends of today as well as yesterday. They can be mixed and matched to fit your style. We can combine any item in any listing letting you totally customize your purchase. Welcome to our shop. 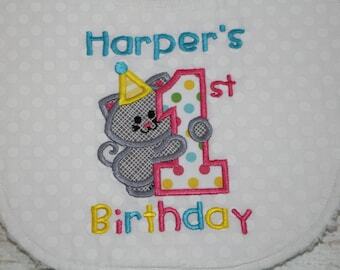 Infantly Cute Boutique specializes in durable yet comfortable baby quilts, blankets, bibs, burp cloths, and pacifier clips that fit in well with the trends of today as well as yesterday. They can be mixed and matched to fit your style. We can combine any item in any listing letting you totally customize your purchase. Welcome to our shop. Love the pop of bright pink added to our white glitz dot clip. 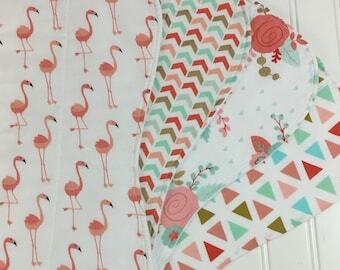 Love our newest set of burp cloths featuring coral flamingos! Looks at these adorable striped pacifier clips just added to our shop. 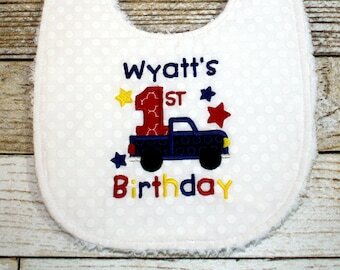 You can order them plain as shown or get them personalized with your little ones name. Available in nine (9) gorgeous colors. The ultimate stroller blanket featuring mitered borders, made with style, comfort, and quality! Super absorbent featuring triple layers. Designer cotton front, cotton batting, and chenille backing. Designer cotton front, cotton batting, and cotton diaper flannel on the back. The cutest accessory your little one needs! No need for anymore lost or dirty pacifiers or dropped small toys. Infantly Cute started out as a token of love. Every time my mother was invited to someone’s baby shower, or heard news of a little ones arrival she always presented the new infant with two gifts. The first gift was one that would be considered useful and the second gift was one to be treasured. The useful gifts would change from time to time and could be bibs, burp clothes, diaper bags or minky blankets and everything in between, but the treasured gift was always the same. She made sure to give the child a quilt! After many compliments and being sought after by dozens to make gifts for their loved ones, we have decided to open up Infantly Cute Boutique to everyone! This gives everyone the ability to pick and choose their own useful and treasured handmade gift to pass onto their own loved ones. We are a mother-daughter team and love working together creating items for your little ones. As we continue to grow, our husbands are starting to become more involved with helping package and ship out our products. When the shop gets busy, they have been known to jump in and help cut and pin our products. We truly are a family operated business and have so much fund working together. I have been sewing for most of my life. I started by making myself clothes when I was 8 years old and now I am making various sewing items for my precious grandbabies. I love to make treasured items that can be passed down for generations. 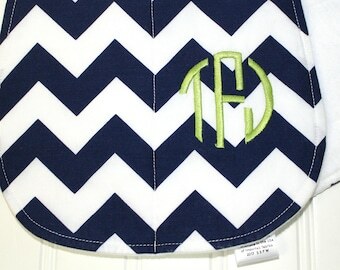 I love combining different fabrics together to create a modern look every mommy would love. When we decided to offer our customers personalization, I took on the role of learning machine embroidery and now do all the personalization of our products.